This volume traces the origins of social psychology in both the European and American traditions of thought, and seeks to place modern social psychology in its historical setting. Beginning with the emergence of psychology as an experimental and social science in Germany in the middle of the nineteenth century, the analysis continues until the emergence of the modern highly individualised discipline in the post–war era in America. 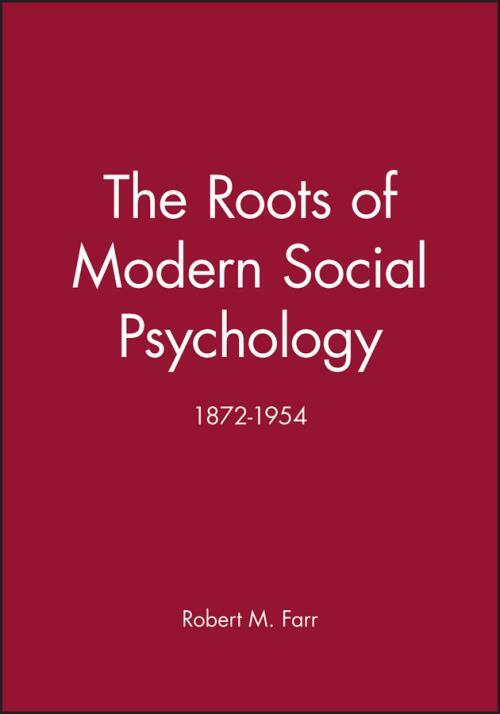 The Roots of Modern Social Psychology focuses on the relations between psychology and the social sciences, includes sociological forms of social psychology and tackles its historiography as well as its history. It challenges the accuracy and inadequacy of the existing histories and sets out a new agenda that will be important reading for students and researchers alike. Appendix I: Some significant dates in the emergence of psychology as an experimental and social science 1872 – 1937.